If my uncle hadn't shown me a picture of an American snipe, I'd have been less likely to buy into his method for capturing one. Even as a child of ten or so, I was already onto Uncle Donnie and the rest of my uncles, who seemed never to tire of playing pranks. The idea of luring an elusive bird into an open pillowcase at sunset seemed suspicious, at best. In fact, I'd flat out denied it was possible. But here, from the pages of the encyclopedia, looked out feathered proof. Who could argue with an encyclopedia? My uncle's manner certainly didn't give anything away as he extolled the virtues of the snipe. A deep desire to capture one of these amazing birds struck me, never mind that I'd never heard of them until now and wouldn't know what to do with one once I did. My cousin, Judy, was a year older and of the same mind. Our snipe-hunting expedition became a family event, with our Iowa uncles and those who happened to be visiting from Missouri all making an appearance. Just before sunset, Uncle Donnie took Judy and I for a walk. When we reached the edge of the woods, he pressed a flashlight into Judy's hand and told her to shine it into the shadows. I was given a pillowcase with instructions to hold it open at ground level. We had to call "coo-ee" over and over as loud as we could. At that idea, Judy and I almost deserted, but Uncle Donnie overcame our objections. You see, our calls would attract a snipe, thinking it had found other snipes. It would then follow the flashlight beam and run into the open pillowcase. This explanation restored our sense of purpose and gave me a basis for the opinion that I would not want to be an eskimo if my uncle had an igloo for sale. 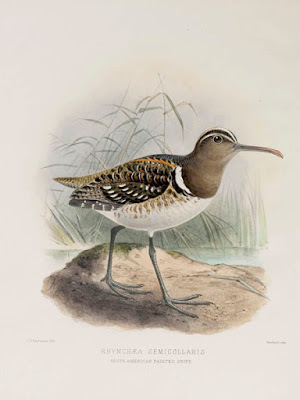 He wouldn't stay with us, he explained, because a snipe wouldn't approach with too many people around. So, this is how my cousin and I wound up calling "coo-ee" at the top of our lungs for an hour or so. Tiring, we swapped duties between the flashlight and the pillowcase, but neither of us wanted to call it quits, even as the colors of sunset faded and full darkness fell. Now the flashlight beam darted here and there, because the woods were all at once spooky. But wait...could it be? Coming from the woods came laughter, then familiar voices. A flashlight snapped on, and my uncles emerged from their hiding places. That's when my cousin and I learned that we had been victims of a practical joke. In many parts of America, snipe hunting is a rite of passage, but most who play this practical joke don't realize that it centuries old and may have predated colonization of America. On May 27th, 1747, Sir Jeffrey Pilsner recorded the first real-life snipe-hunting expedition in America while trading furs in Minnesota. It contained many of the elements, including capturing the bird with a sack, that are part of the snipe hunting practical joke tradition. Source. How do you catch a snipe? Pretty much in the same way practical jokers instruct their victims to go about it, as it turns out. Scientists lure snipes with lights and noises, and then catch them with nets. Source. 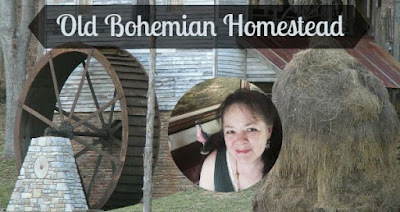 Catch more posts like this and about homesteading, Bohemian style, at Old Bohemian Homestead. I remember going snipe hunting when I was a teen. I never quite knew what we were looking for. :) If my friends were playing a joke on me, I never realized it. We all had great fun running around at night and goofing off. Thanks for the reminder of a fun memory. I never believed there really were Snipes in the woods or on the beach, but a few other counselors and I had great fun playing the prank on friends and fellow campers one summer. The younger ones were the funniest as the older teens caught on fairly quick to our joke. Fun memories of our "Snipe Runs."